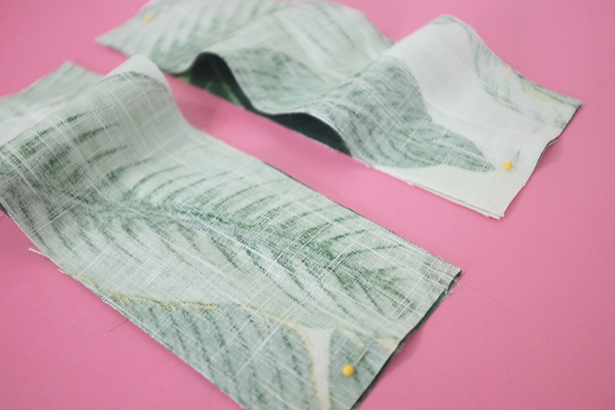 In my last post I ended with installing the waistband with invisible zipper – and now it’s time for the cuffs! Since I didn’t have a ton of yardage to make these (I just fell in LOVE with the fabric and the the store only had a bit left on the bolt) I had to get creative so with the bits and pieces I had left I cut some cuffs to finish off the bottoms and also lengthen them. So I first pinned both my cuffs, right sides together along the side seams and stitched. I pressed the seam allowances open and then folded and pressed them wrong sides together matching the top unfinished edges. Matching up the three edges, I pinned each cuff to the bottom of my hem opening. I then stitched the cuffs to my pants, serge-finished the allowances together and flipped them down and give a final press. Finished! 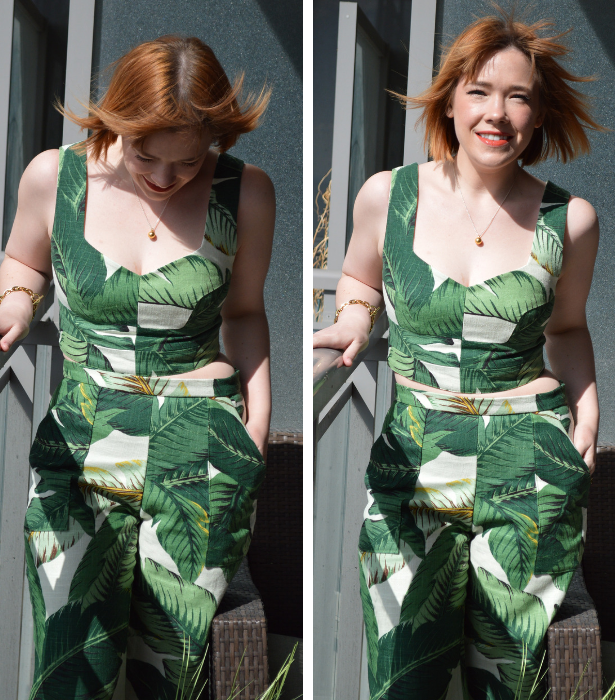 So thrilled with how this outfit came together, and right after I finished sewing these pants I cut and sewed a matching top using our Bustier Crop Top pattern. For the crop top I cut and sewed a size 38 and it fit me perfectly with no adjustments! These two patterns go perfectly together as the bottoms end at the waist with just enough space before the crop top hits me at the waist. 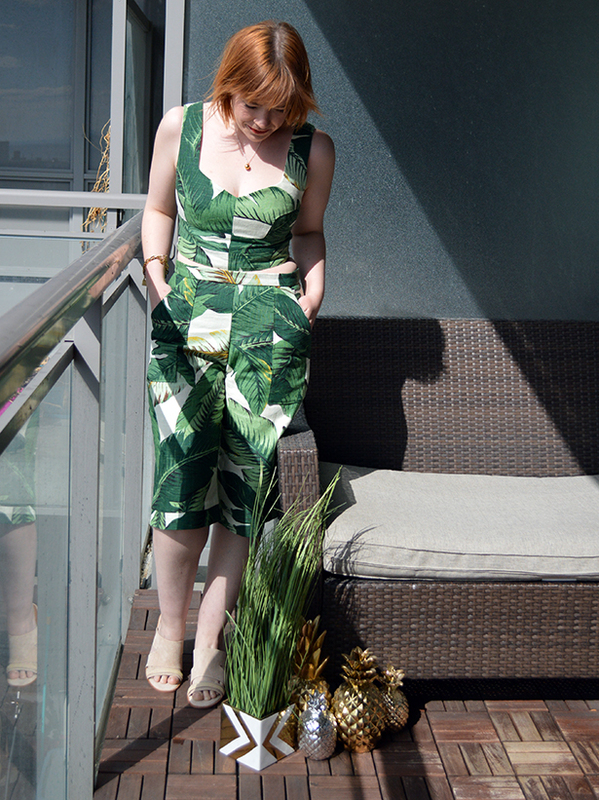 I love a two-piece matching set, but don’t love when too much of my stomach is showing. 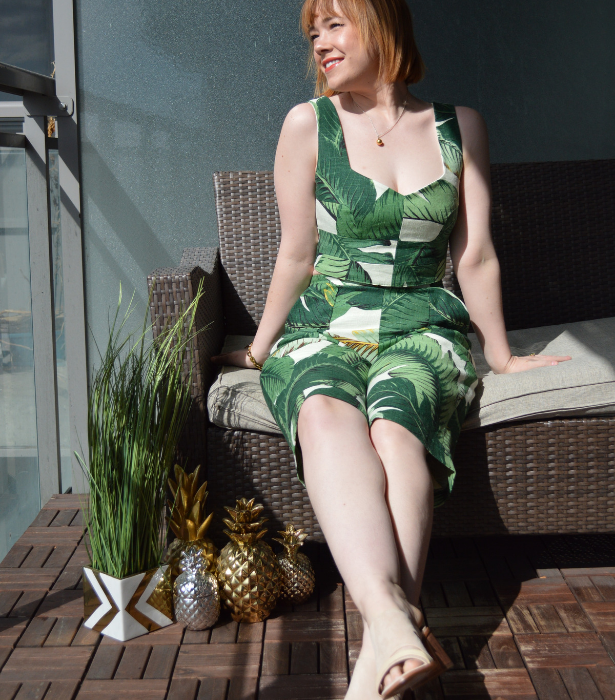 This picture is exactly what I expect to be doing all summer, sitting outside in the sun – especially in this adorable outfit! Note these pants are about 10" shorter than the pattern. 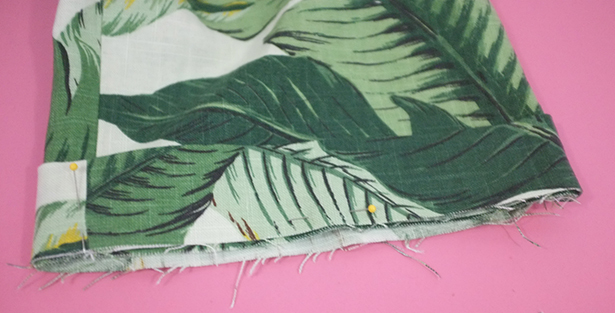 I made my test fit pants the indented length – but for this busy banana leaf print I actually like the copped version and it also gives me options based on the weather. For the bustier I slightly modified the pattern too. I switched the zipper to the center back and opted for an exposed zipper. And I replaced the back middle panel with a wide piece of elastic. I really want to make another one of these tops, should I do a tutorial? These are the two patterns again that I used. On the left is our Bustier Crop Top, and on the right is my Mash Up pattern our Utility Pants. Honestly guyes, this is a wining pair of patterns! See more images of this outfit here. Now that this Mash Up has come to a close, it’s time to think about my next one! 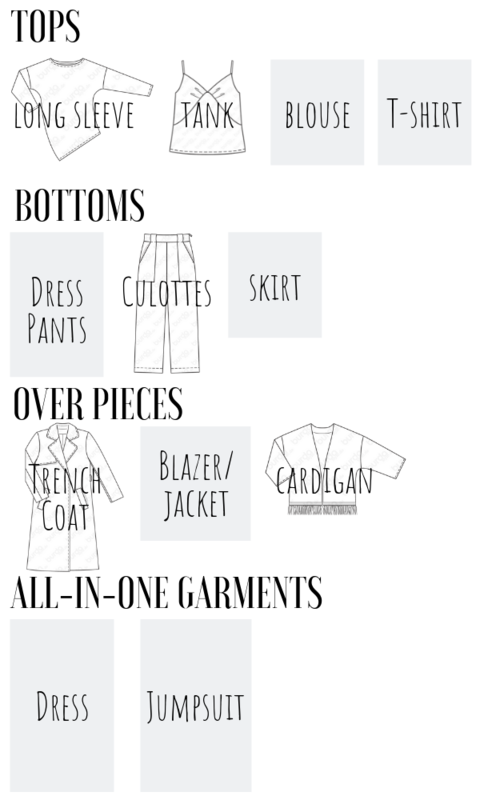 All the April 2019 patterns just went live and I spent some time thinking about how my next Mash Up garment will work into my 2019 collection. 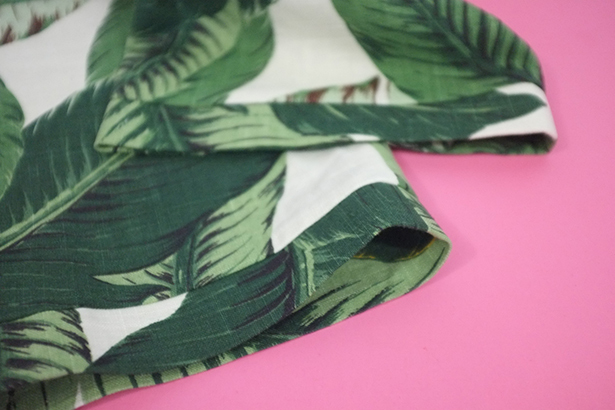 The tank I made to go with my test fit pants I decided to work into my collection as the color palette worked with my banana leaf print and it was the perfect tank to go with everything. 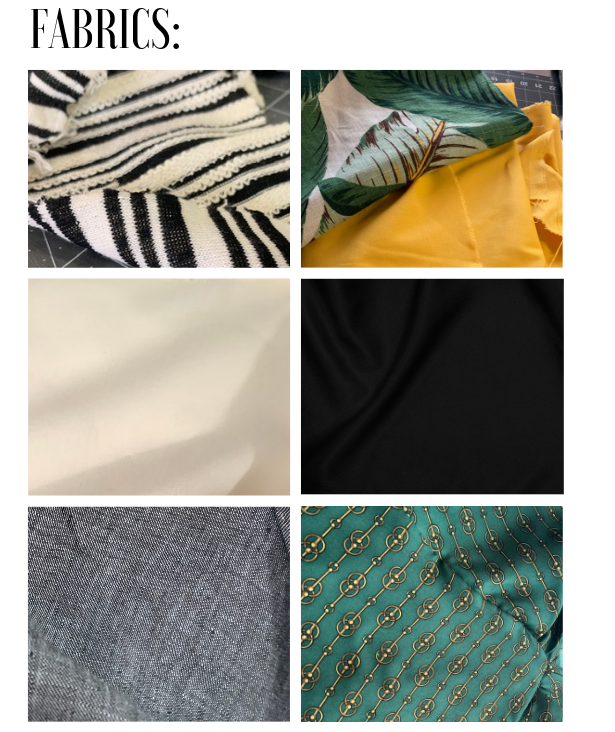 This is my fabric and color palette for the year and I love how they are all coming together. So I’m going with a denim, black/white, yellow, and green palette. I mean I just HAD to incorporate green in there. The bustier top also works well into collection and I can wear with these pants too. I decided to make a “cardigan” for my April Mash Up, and I really loved this Jacket with Fringe pattern that sewn in the right fabric could make a fabulous cardigan. So that’s the plan for April and I can’t wait to start it. I’m thinking of sewing it in a black fabric so it’s nice and versatile. Feeling really good about this look, and happy to say I definitely have my sewing mojo back. I love this outfit Meg! It reminds me when I was in high school. I used to design stuff and a friend sewist would make them for me. This fabric reminds me of a set she made me! 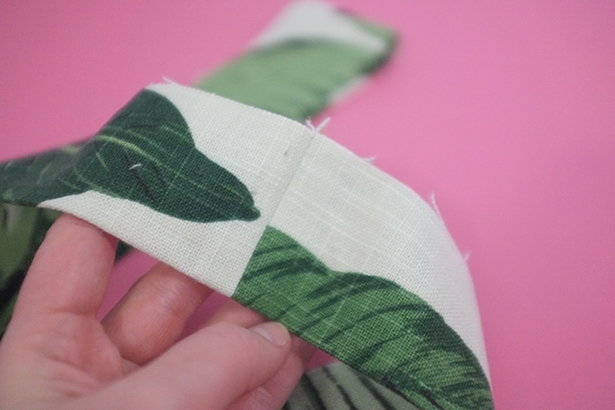 I have had that exact leaf print, or something eerily similar, in my stash for a year now with no inspiration for it…..now I do! Love this!! Just fabulous. 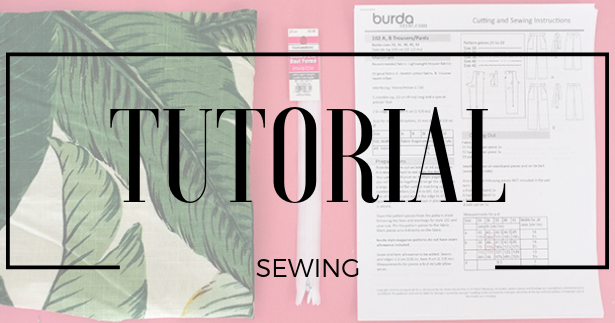 I love, love your fabric! I made these pants, too, and they are my new favorite. So flattering and comfortable! Thank you so much :) Now summer just needs to get here already! !